"Blessed be the name of God forever and ever, for wisdom and might are His. He knows what is in the darkness, and light dwells with Him. You have given me wisdom and might, and have now made known to me what we asked of You." Have you been bewildered, alarmed, or uncertain of truth in the midst of the news? As unrest, wars, rumors of wars continue to emerge, we, as God’s elect, know that we wrestle not against flesh and blood but powers and principalities, rulers of darkness of this age, and spiritual hosts of wickedness, Ephesians 6:12. We are in a mighty spiritual battle. 2 Timothy 4:3 warns, "For the time will come when they will not endure sound doctrine….because they have itching ears." As moral decay fritters away at foundations of truth, how are we as Christians to respond? In the tumult of the times, there is a rising cry for “Clarity and wisdom” in the midst of the turmoil. Like Daniel, we, as God’s people, are being called to a higher level of understanding and discerning of the times we are in, and will be entering. We, therefore, invite you to participate in a personal and corporate call and cry for “Wisdom” in these days of uncertainty. Declaring God’s Word in the book of Proverbs as a united cry for wisdom and revelation to fortify, strengthen, and reinforce us individually and as a global body of believers for the days and challenges ahead. Daniel Fast: December 1-10 (Fast per personal call from God, Veggie, liquid, no sweets, media etc.). The purpose of the fast is two fold; 1) to prepare and present ourselves humbly before the Lord as living sacrifices, dependent and longing for greater revelation of Him and greater knowledge and understanding of His Word for these uncertain times. Daniel Cry: December 1-December 31st (31 days) Read out loud and pray from Proverbs, one chapter/day. 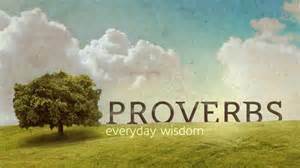 Wisdom’s Call: As we link together across the nation's in agreement with the wisdom of Proverbs, His Word will not return void and will accomplish the purpose for which He sent it. We believe with great expectation that these words of life will reap a great harvest of peace, righteousness, and joy in His people and release clarity for the times and seasons we are in. Proverbs 8:1-3 “Does not wisdom cry out, and understanding lift up her voice? She takes her stand on the top of the high hill, Beside the way, where the paths meet. She cries out by the gates, at the entry of the city, at the entrance of the doors."